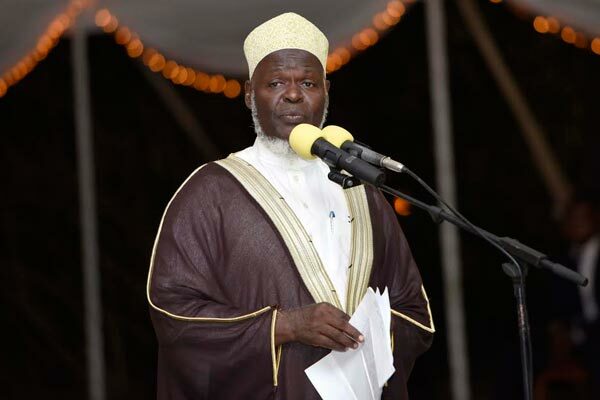 BUSHENYI – The Mufti of Uganda, Sheikh Shaban Ramadhan Mubajje, has lashed at government for undermining efforts to hold a national dialogue, saying there are many issues affecting Ugandans which need to be discussed by all stakeholders. Sheikh Mubajje, who is the chairperson Inter-Religious Council of Uganda, an apex religious body that is part of the moderators of the dialogue, said whereas the government thinks there is no political crisis in the country that warrants dialogue with opposition players, there are many challenges such as higher taxes and several other controversial government policies. “We are trying to say that as Ugandans, let us mediate because there are so many issues affecting Ugandans but people in government say they have structures, that they have laws, including representation. But we are also saying that there are issues that you need to open up so that every Ugandan says what is affecting him,’’ he said on Saturday at the burial of Sheikh Abdunoor Kaduyu in Kitwe, Kyeizooba Sub-county, Bushenyi District. The National Dialogue process was planned to kick off on November 21. But Deputy Attorney General Mwesigwa Rukutana is quoted by independent daily, Saturday Monitor, as saying that there ‘there is no crisis that warrants urgent national dialogue and that there is an elected government that was confirmed by the Supreme Court which is implementing its manifesto. But Sheikh Mubajje said this government position is wrong. “As the inter-religious council, we believe in dialogue; we talk. We have differences in religion but we have things that unite us if we do not dialogue and create that relationship. The Bishop talked of love; in Islam we want love, in the inter-religious council, we want love and even in our government, we want love. That is why we are saying we want the national dialogue process,” he said. Sheikh Mubajje said the dialogue will allow Ugandans to express their displeasure with government on the issues that have not been properly handled so as to get the way forward. The National Dialogue is being spearheaded by the Inter Religious Council of Uganda and the Elders Forum. President Museveni is expected to launch the dialogue on November 21.